Infinity Health and Wellness Center: Fight Cancer with Organic Green Shakes! So many people make good health a complicated matter by polluting their bodies with processed foods, irradiated foods, genetically modified foods, gluten, bleached foods, hormone-laden meats and milk, and a host of other toxic products that punish the body instead of rewarding it for doing work for you. Your body wakes up in the morning and your organs want food. They do not want food that comes from laboratories or factories that cook it to death and plug in additives and cell-choking preservatives. Your body is a machine, and it needs clean oil, meaning organic fuel, to run smoothly. This is fairly simple. You take a handful of organic spinach, some organic rice milk or almond milk, half of an organic apple and a little ice (from non-fluoridated water), and you blend it up in a smoothie maker, a NutriBullet or even a good blender, although blenders don't break up the greens so well (http://www.youtube.com). 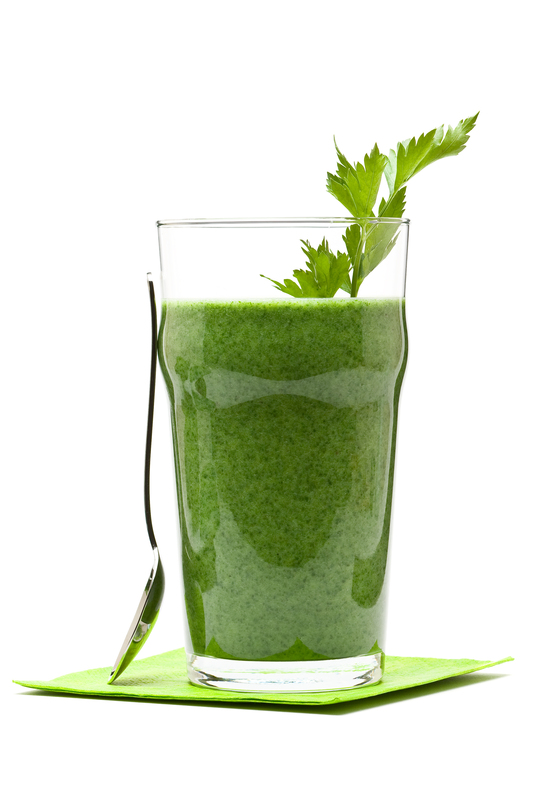 The best green shakes contain kale, spinach, collard, chard or romaine. You should rotate your greens regularly. Other good mixes for these shakes include pears, bananas, mangos, pineapples and spring water. Top it off with organic lemon or lime juice! Almond milk and rice milk are always smart alternatives to using dairy. You can juice vegetables also and add the juice to smoothies; plus, you can always save the vegetable pulp and use it in a casserole, serve it on top of basmati rice or quinoa, use it as toppings for salads or even as compost in your garden. Also, drink plenty of organic carrot juice and organic beet juice and eat raw organic cruciferous vegetables consistently. Arm yourself with organic weapons that destroy cancer cells! 2. Fight lung cancer and inflammation: RejuvenZyme and Barley Power are two superb enzyme supplements. Both of these products are highly endorsed to reduce swelling, inflammation and congestion in the lungs. The enzymes in RejuvenZyme will also help the immune system recognize cancer cells as cancer cells. Did you know that six months of chemo can cost $50,000, and a five-week course of radiation can cost $60,000 or more? One single surgery to remove a tumor can set you back $40,000. It's mostly a scam too, because all of these procedures can easily spread new cancers, but people are finding out via natural and alternative news. So then, what holds people back from putting the truth to work for themselves, as preventive medicine? What holds people back from dispelling the myths and digging up the cure, literally, from an organic garden, and putting it to use? The cure for this chemically driven cell disorder is growing in organic soil, and it comes from organic seeds, but you need to turn off the TV to hear it and set down the corporate ad-filled magazines to read it. When will the tens of millions of people living in the dark ages finally tune in with the hundreds of thousands (maybe tens of millions now) of Natural News enthusiasts and change their ways to healthy living? By alkalizing your body with healthy organic greens, you are providing your cells with oxygen and beating back free radicals and other harmful carcinogens that can lead to cancer and so many other diseases. This is preventive "medicine," though no product or distributor can ever say it on the label, for fear that the FDA will come shut them down. Never underestimate the healing power of organic fruits and vegetables. Change your ways now. End the gluten nightmare. End the GMO nightmare. Stop eating processed foods, refined sugars and artificial sweeteners. Maintain perfect balance in your body, the temple of your soul.